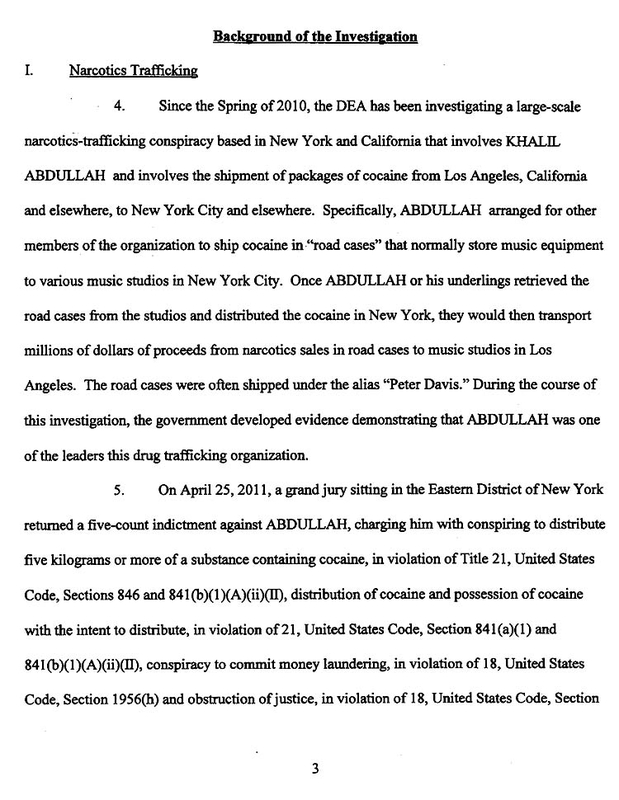 MAY 17--The Drug Enforcement Administration probe that has ensnared a well-known rap music manager is focusing on the shipment of kilos of cocaine from Los Angeles to New York by a narcotics ring that stashed the drug in “road cases” delivered to recording studios, The Smoking Gun has learned. Payment for the cocaine was sent back to the West Coast in vacuum-sealed packages that were coated with mustard, the pungent smell of which was intended to conceal from drug-sniffing dogs the scent of narcotics on the currency. 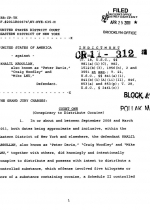 To date, the ongoing investigation--which is being overseen by prosecutors in the U.S. Attorney’s Office in Brooklyn--has resulted in felony charges against about six defendants, several of whom are connected to the rap music industry. Additionally, an arrest warrant has been issued for James Rosemond, the manager who represents the L.A. rapper The Game. The 46-year-old Rosemond, a convicted felon with a lengthy rap sheet, is pictured in the above mug shot. 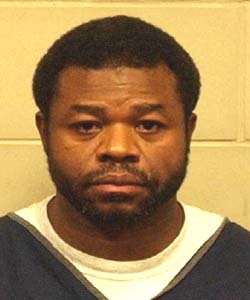 Rosemond’s brother Kesner, 49, has already pleaded guilty to a trafficking charge stemming from the DEA investigation. Kesner Rosemond, who has previously spent a combined total of 12 years in prison on gun and narcotics charges, faces a mandatory minimum of ten years in prison for his latest felony conviction. But Rosemond, pictured in the below mug shot, is likely to be hit with a more severe sentence--perhaps in excess of 15 years--when he is sentenced next month. 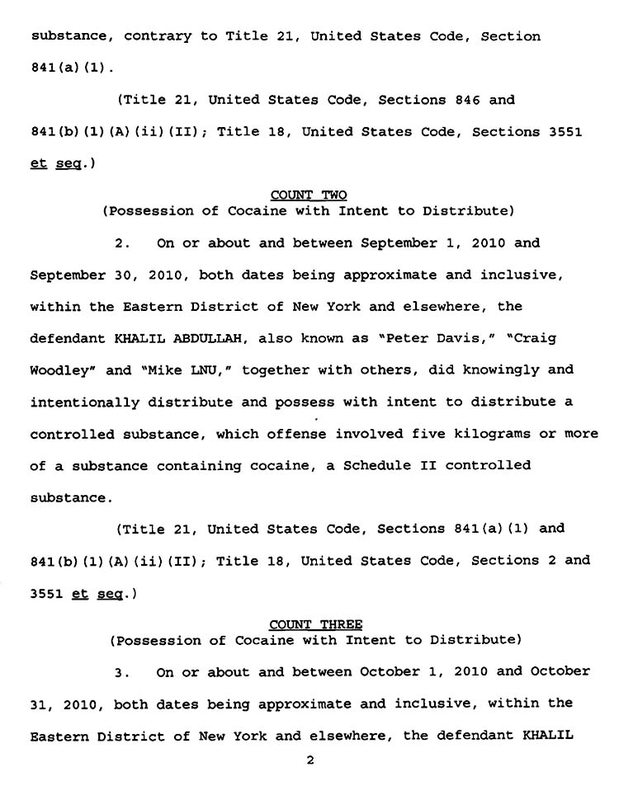 The DEA probe began in late-2009 when agents discovered that members of the narcotics ring were sending kilos of cocaine from L.A. to New York City via overnight delivery services like Federal Express. In return, packages of cash were being sent to Mail Boxes Etc. locations in L.A., where they were picked up by the cocaine suppliers. 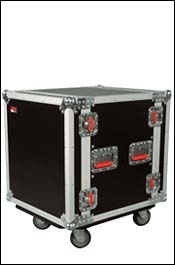 At one point, federal agents seized three Federal Express boxes containing a total of $452,270 in cash that had been picked up by Maynard Coleman, an alleged member of the drug trafficking ring, at a Beverly Hills mail drop. 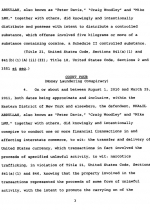 The currency was found inside plastic bags that were “filled with yellow mustard,” according to an affidavit sworn by Agent Steven Miller. During subsequent surveillance, Coleman was spotted driving on two different occasions to Mail Boxes Etc. with Henry Butler, whom the DEA identified as one of the ring’s principal cocaine suppliers. Miller reported that investigators last July recovered five kilos of cocaine that Butler sought to mail with the aid of Coleman (who says he works as a “producer/engineer” for Malibu Music Co.) and an unidentified woman. As a result, Coleman and Butler were charged with drug trafficking. 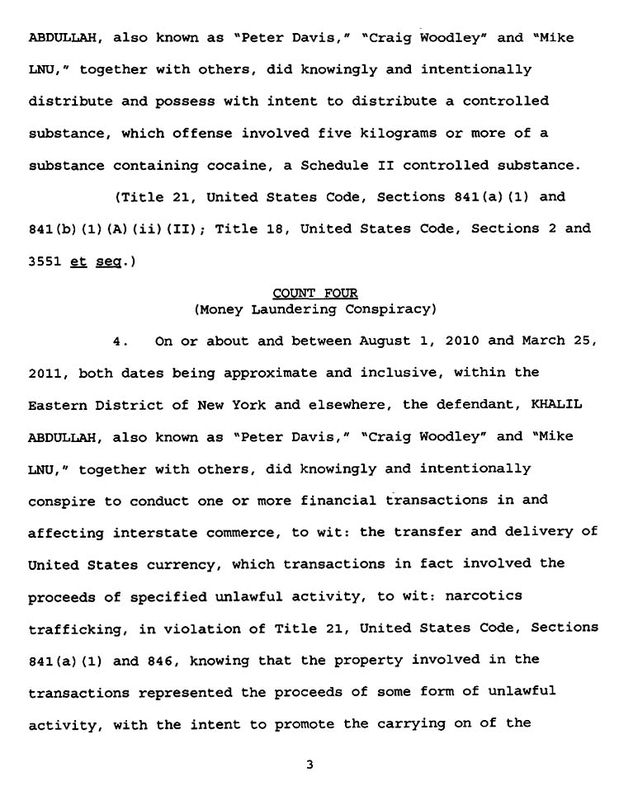 Butler, who pleaded guilty in mid-March, has been cooperating with federal investigators for several months and has provided significant details about the trafficking operation (during a March 17 plea hearing, federal prosecutor Todd Kaminsky referred to a clause in Butler’s “cooperation agreement”). While Butler, 45, is scheduled to be sentenced in late-July, that appearance will likely be postponed due to his continuing assistance to the government. 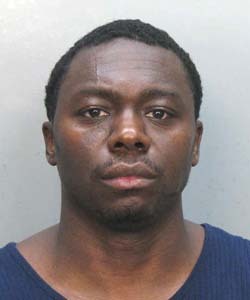 Butler’s cooperation could spell trouble for James Rosemond, whom Butler initially met through his involvement in the music industry. That relationship, a source told TSG, eventually grew to include the trafficking of cocaine. 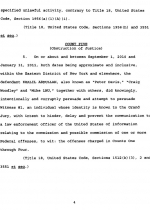 While charges against Rosemond have not been unsealed, a close associate of his, Khalil Abdullah, was named last month in a five-count indictment charging him with narcotics distribution, cocaine possession, money laundering, and obstruction of justice. 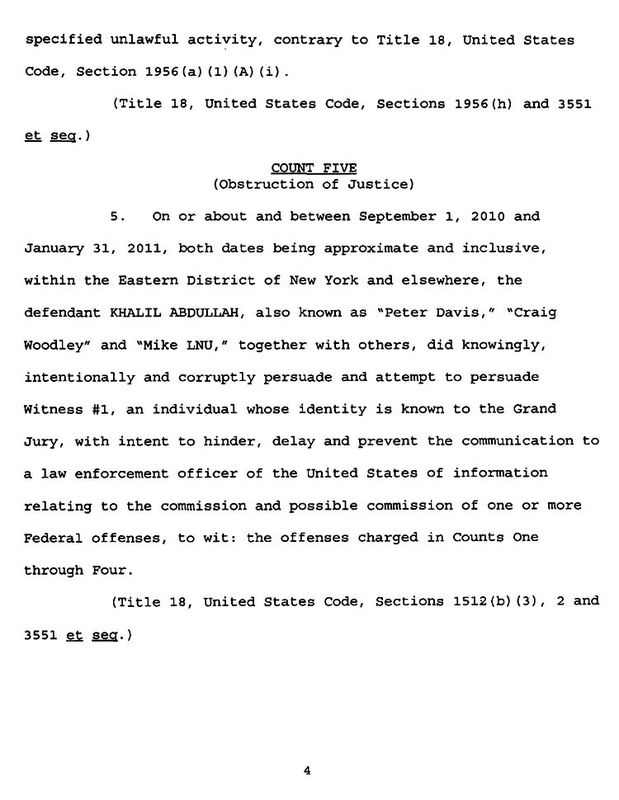 The last count stems from the 37-year-old Abdullah’s alleged attempt to pressure Butler into not cooperating with federal officials. 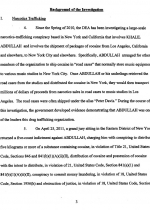 During the course of the DEA probe, Tracy reported, “the government developed evidence demonstrating that Abdullah was one of the leaders” of the cocaine trafficking operation. Abdullah, who is being held without bail, is a convicted felon who has served time for robbery. Submitted by geoffgeezy on Fri, 2011-05-20 20:07. Mailboxes etc., Shipping money covered in mustard huh. Not the sharpest knives in the drawer now are they? Submitted by actricalian on Fri, 2011-05-20 12:54. If I'd have known it was going to be this much trouble, I'd have picked my own damn cotton! Submitted by jimbarry1946 on Fri, 2011-05-20 10:59. Ain't these rappers and their assosiates a bunch of sweety pies? Submitted by rocketman on Wed, 2011-05-18 09:47.
is that really the best way they could come up with to transport money? its a good thing crooks are so stupid. probably all that c-rap music rots their brains. Submitted by nenna72 on Tue, 2011-05-17 21:07. 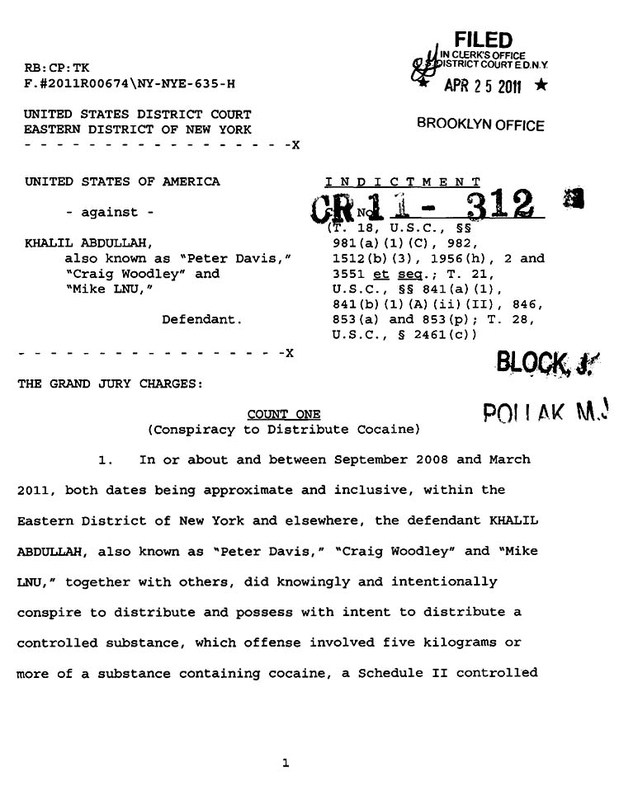 It comes as no surprise to most people that the music industry and the illegal drug industry are in bed together. It is surprising that anyone would be stupid enough to print the names of federal agents subsequently compromising the safety of the agents and their families.These people better hope that nothing happens to the agents or they will not be able to hide behind freedom of the press. Submitted by rocketman on Wed, 2011-05-18 09:45. Submitted by Working Liberal on Wed, 2011-05-18 12:52. "yea, no surprises there, I’m sure that's a "racist" view to someone." - It passed my racist test. It's clearly not a racist comment. "shall we look at the statistics?" - Does not pass racist test. I grade it a D+. You know what bothers me the most about you tea baggers coming here and dropping racist comments? It's the fact that in real life you probably do not condone racism but when it comes to hopping on the internet and speaking through an avatar you lose your moral compass. It's like everything you have learned by living in a mixed race society goes right out the door. What scares me is when does your perception get so altered that your avatar becomes a reality. Oh yeah it already happened, when the USA elected a black man as President. I'd like to see the tp express fall off a cliff. It’s just the place for a bunch of redneck losers with more time then money. Submitted by Working Liberal on Wed, 2011-05-18 12:50. Submitted by Loveourvets on Wed, 2011-05-18 19:08. Talking to yourself there, Working Liberal? Multiple personalities, perhaps? Submitted by DexterTheCereal... on Thu, 2011-05-19 06:58. Submitted by Working Liberal on Tue, 2011-05-17 17:33. Submitted by J0hnny on Wed, 2011-05-18 00:40. The cRap industry. Not the music industry you libtard. Don't be afraid to be more specific than that my little apologist. Higher IQ'd individuals wouldn't jeopardise a multi-million dollar industry for such a risky endeavor. Submitted by Working Liberal on Wed, 2011-05-18 09:32. Go to mug shots, then to music and let me know if this type of activity is exclusivly in the rap industry. I hate rap and just about everything it stands for but you cannot say that it is the one market mixed up with drugs. I understand the reasoning of your post considering who is involved in the article but just because I was broad doesn't mean I think the rap industry is any better then other music genres. Submitted by DexterTheCereal... on Wed, 2011-05-18 09:11.